Fully finished 3 bedroom, 2 bathroom, east end home. 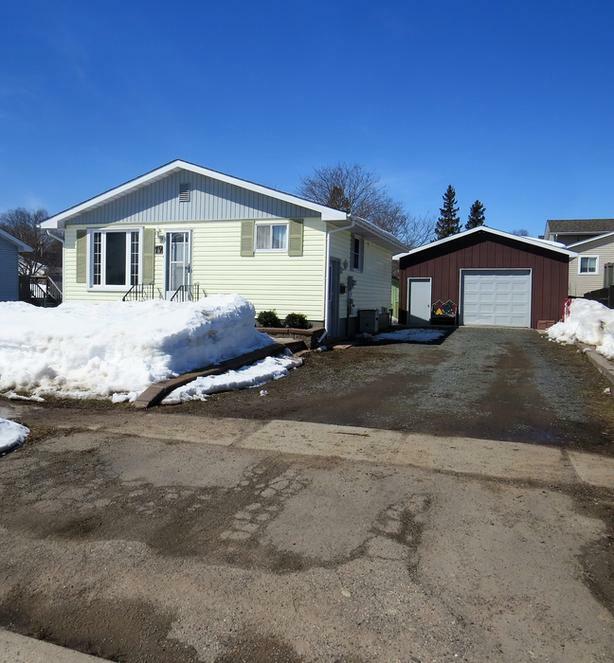 This home features many updates, including windows (2015), shingles (House and garage, 2015), high efficiency gas furnace (December 2018), hardwood flooring in all bedrooms (2016), ceramic tile flooring, gas fireplace, LED lighting, bonus office and playroom in the basement and a fenced backyard. This home boasts a 22.5 x 32 foot dream garage, finished with commercial grade aluminum siding, 10 foot high ceiling, gas heating system, 50 amp connection for a welder, 30 amp connection for an RV, new fluorescent high output lighting (2016), new garage door opener (2018), and an alarm system that covers both the house and garage (2015). This home has it all! Call today for your own private viewing of this wonderful home!